Are you one of the millions of US adults who experiences anxiety or phobia related to dental office visits? If you’ve been putting off dental care because of phobia or anxiety, finding the right dentist is essential. At Total Dental Care, Robert Miller, DMD and his Ridgewood dental team offer comfortable, gentle dental care that helps the most anxious patients feel right at home. Dr. Miller is also a trusted Ridgewood sedation dentist. We offer patients a variety of potential sedation options from the gentlest nitrous oxide to advanced IV sedatives. If you’re interested in learning more about dental care from a sedation dentist who serves Ridgewood patients, call Total Dental Care today. Our office is conveniently located just up the road in Forest Hills, and we welcome patients from Ridgewood and throughout Queens. Nitrous oxide – this is the longest used and still one of the most popular sedation options. Nitrous oxide is a gas inhaled through a nasal mask during treatment. We can easily adjust your level of sedation, and after treatment, the sedative effect wears away quickly. That means you can return to your regular routine right away. Oral conscious sedation – patients with severe anxiety or phobia that makes it difficult for them to leave home for their dental appointments may want to use oral sedation. These prescription sedative pills are taken at home about an hour before your treatment. By the time you leave home, you’ll already be relaxed. The level of sedation is moderate for most patients, and it will last for at least twelve hours. You’ll need to have a trusted friend or family member drive you to and from our office. IV sedation – intravenous (IV) sedatives are administered through a drip directly into a vein in your arm or the back of your hand. IV sedation offers a deep level of relaxation, and the dose can be quickly adjust throughout the procedures to keep you comfortable. Nitrous oxide is a popular sedation option because the level of sedation can be constantly adjusted during treatment. However, nitrous oxide only offers patients very low level sedation. Oral conscious sedation provides higher levels of relaxation, but the dosage takes thirty minutes to an hour to adjust. 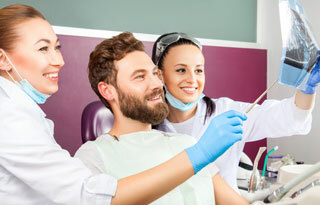 IV dental sedation offers the immediate sedative adjustment possible with nitrous oxide coupled with higher levels of sedation than oral sedatives. For patients who choose IV sedation, we can carefully adjust your dosage and deliver completely comfortable care through even the most advanced procedures. Our you. Sedation is not always the right option for every patient. We will start by trying to help you overcome your dental phobias and anxieties without sedatives. Our dentist and team will take our time to answer your questions, explain your treatments, and put your mind at ease. We know that even the kindest, gentlest dental care isn’t enough to help every patient overcome their dental phobias, so dental sedation is still available to help you further relax.